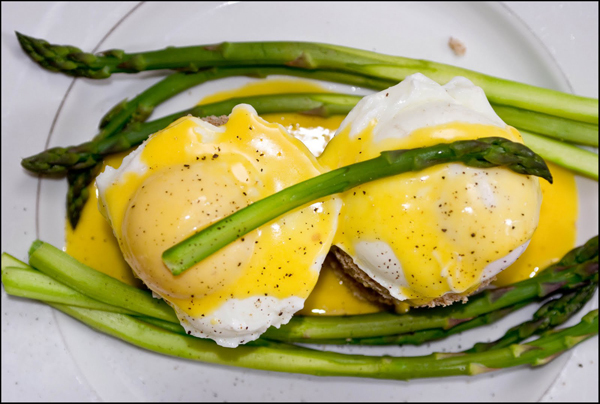 Asparagus season is upon us!Now is the time to enjoy one of nature’s power houses. And if that wasn’t enough,eaten regularly, asparagus packs an almighty punch to diseases such as cancer and heart disease as well as boosting your immune system. 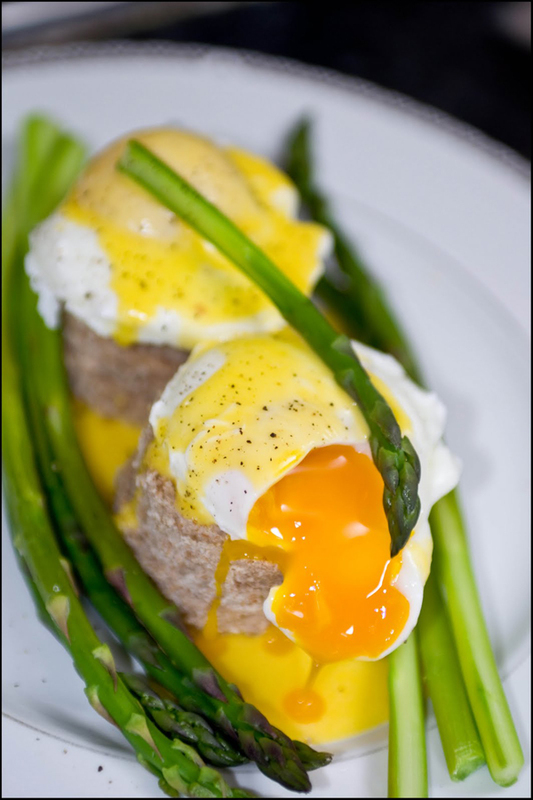 To make the hollandaise, put the yolk in a bowl and whisk in a bit of salt and pepper. Add vinegar and lemon to a small saucepan and heat until it starts to bubble. Pour this into the egg mixture and whisk in. Then slowly pour the melted butter in a thin stream into the bowl as you whisk away. The sauce should be thick and creamy. Steam the asparagus over a pan of boiling water for 3-5 minutes, depending on the thickness of the spears. Bring a pan of salted water to the boil and add the vinegar. Whisk the water to create a whirlpool and once settled, crack an egg in. Simmer for 2-3 minutes, remove the poached egg carefully with a slotted spoon and repeat the process with the remaining eggs.